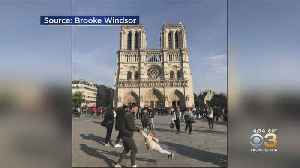 A petition to find two people pictured in a joyful moment outside Notre Dame before the tragedy has taken over social media. 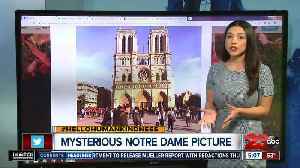 The photo was shared Monday with thousands of retweets searching for the mystery man. 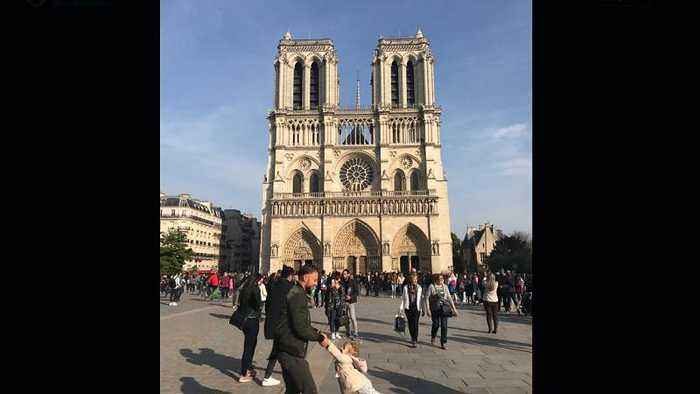 The woman who took the photo says she almost went up t the man and asked if he wanted a copy but she didn't. 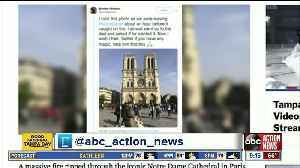 A Twitter user who claims she took the heartwarming photo of a man swinging a little girl in front of the Notre Dame Cathedral in Paris an hour before a massive fire ravaged the historic cathedral is..